A World Tour of Structural Form is a half-day workshop created by Think Up to introduce first-year engineers to the idea of structural behaviour and stability by exploring how famous buildings around the world stand up. They must then put this knowledge to the test by proposing quick solutions to a range of engineering scenarios. 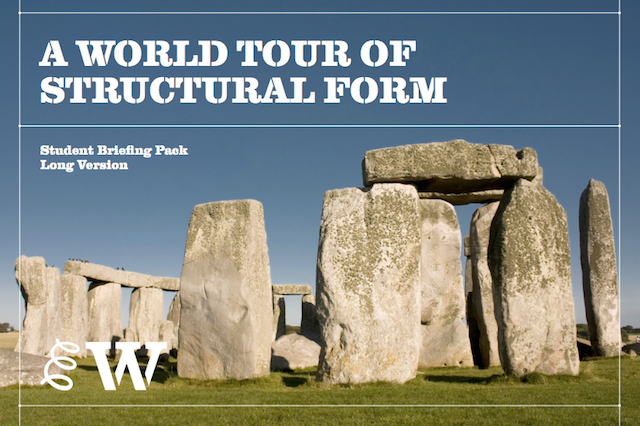 The student briefing pack for A World Tour of Structural Form is an open educational resource available for download from the Expedition Workshed website.